This Valentine's Day, Blade Hairclubbing in Soho will be offering a loved-up collaboration for those looking for a pre-date pamper or a Valentine's treat. 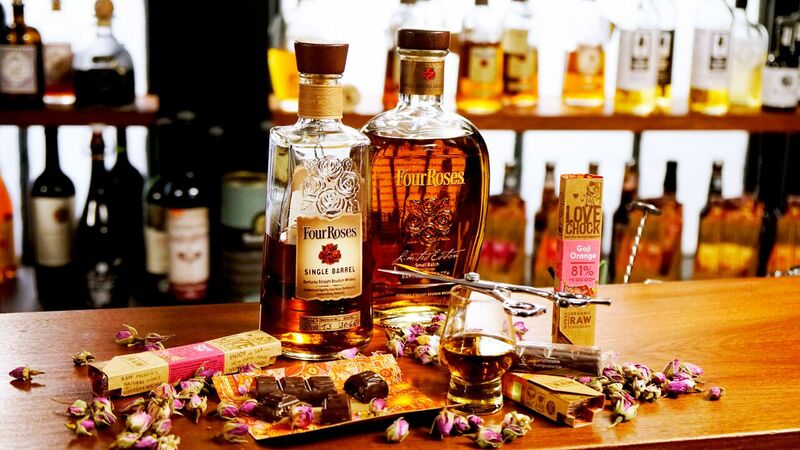 Couples that book in to the salon together between Wednesday 14th - Saturday 17th will receive an indulgent Four Roses bourbon and LoveChock raw organic vegan chocolate tasting, consisting of a flight of three bourbons, each paired with a different chocolate. 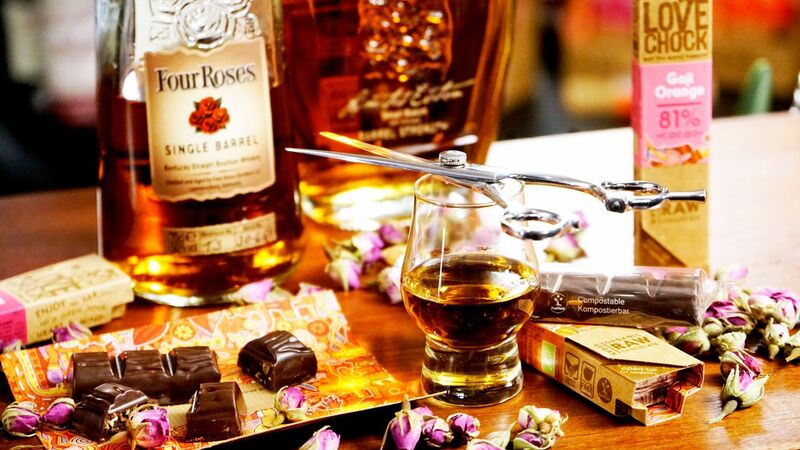 Blade will also be serving their original 'The Name Of The Rose' cocktail, made with Four Roses Single Barrel, Luxardo Maraschino, Abbott's bitters and Rose Bud Tea (£9.90). To celebrate this collaboration, any Hairclubber with an appointment sporting a rose tattoo will receive a complimentary pour of Four Roses!